The former director of scouting for the St. Louis Cardinals pleaded guilty in federal court Friday to hacking the player personnel database of the Houston Astros in an unusual case of high-tech cheating involving two Major League Baseball clubs. Christopher Correa pleaded guilty to five counts of unauthorized access of a protected computer, access authorities said dated back several years. The 35-year-old Correa was the Cardinals' director of baseball development until he was fired last summer. Correa told the judge that his actions were "stupid." He faces up to five years in prison on each charge when he is sentenced April 11. In a five-page charging document, prosecutors accused Correa of improperly downloading in 2013 an Excel file of the Astros' scouting list of every eligible player for that year's draft. They say he also improperly viewed Astros' notes of trade discussions, the Astros' main draft page and a scouting page that listed information on Houston prospects. That information included statistics and notes on recent performance and injuries. The Justice Department said Correa illegally accessed information ahead of critical baseball events, such as on the morning of the 2013 amateur draft and before that summer's non-waiver trade deadline. The data breach was first reported in June 2014 when Astros general manager Jeff Luhnow, a former Cardinals employee, said the team had been the victim of hackers. Some of the material was posted online. Last July, the Cardinals fired Correa in what was believed to be the first known fallout from the scandal. The team did not say why he was let go, and Correa's attorney, Nicholas Williams, said in a statement that his client denied any illegal conduct. "The relevant inquiry should be what information did former St. Louis Cardinals employees steal from the St. Louis Cardinals organization prior to joining the Houston Astros, and who in the Houston Astros organization authorized, consented to, or benefited from that roguish behavior," Williams said then. The Astros hired Luhnow, the Cardinals' former scouting and player development executive, as general manager in December 2011, and he has helped turn the team from a laughingstock into a contender. Luhnow was a key figure in the Cardinals' own database, called Redbird. At least one former Cardinals employee - Sig Mejdal, a former NASA employee and analytics expert - joined Luhnow in Houston. Luhnow has not commented in detail about the case, though he told Sports Illustrated that poor password protection was not to blame for the access. He also denied he used any of the Cardinals' intellectual property or information from Redbird to create Houston's database. The Cardinals retained the Dowd Bennett law firm to handle an internal inquiry several months before the June 2015 disclosure that the FBI was investigating whether the team hacked into the Astros' database. An attorney for the firm has said high-level executives for the Cardinals were not involved and team chairman Bill DeWitt Jr. blamed the alleged hack on "roguish behavior" by a handful of individuals. MLB said it cooperated fully with the federal investigation and would consider steps on its own only after the investigative process was complete. 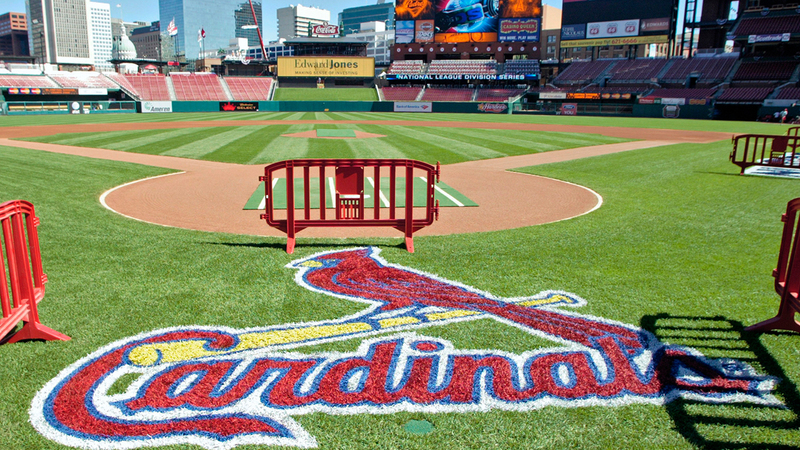 The Cardinals are among baseball's most successful franchises on and off the field. Only the New York Yankees have won more World Series titles than the 11 won by St. Louis, which is among the best-drawing teams in all of sports. The Astros and Cardinals were rivals in the National League Central Division until Houston moved to the American League in 2013.